If a child has difficulty reading and writing, they will have difficulty with their overall academic performance, which will of course impact on further life choices. So what do speech pathologists have to do with literacy? Speech pathologists are in a unique position of having expertise and training in the area of sound awareness and oral language skills which impact greatly upon literacy. 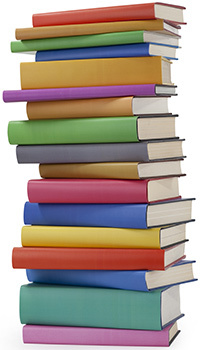 They are qualified to target specifically the underlying causes of a child’s literacy difficulties. 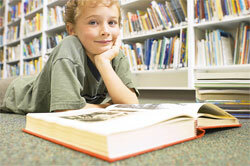 Children who have speech or language difficulties earlier in life may go on to have difficulties with literacy as well. This makes sense when you think about all the different skills required for literacy: ability to hear and manipulate sounds in words, understanding the meaning of words and sentences, understanding grammar and syntax. Good oral language skills and auditory skills are important skills for literacy development. Evaluate your child’s literacy: this includes exploring his or her ability with underlying skills required for literacy development. Provide you with a report to give you information and a summary of your child’s specific literacy (or pre-literacy) difficulties. This is often useful information for your child’s School or Kindy teacher to have. Provide friendly, game based therapy to help remediate your child’s literacy difficulties. Provide fun take-home activities for home or school practice. Phonological awareness skills (the ability to recognise and manipulate sounds and syllables in words). Phonological awareness is a skill that is fundamental to the later development of making connections between printed letters and the sounds they represent. If your child has difficulties in any of these areas, it is important to get your child assessed. Difficulty with phonological awareness (the ability to recognise and manipulate sounds and syllables in words). There is a very strong link between children who have had early speech and language difficulties, even those that have been resolved, and later reading disorders. If your child has had a speech or language disorder, we recommend that you book an appointment to get your child’s reading assessed early, as reading difficulties may not be apparent in the first couple of years of schooling. *Westwood, P (2001). Reading and learning difficulties: Approaches to teaching and assessment. Camberwell, Victoria, Australian Council for Educational Research Ltd.